The Therapeutic Goods (Permissible Indications) Determination No.1 of 2018 is currently on the Senate Disallowable Instruments List until 25 June 2018. Friends of Science in Medicine (FSM) have joined Choice (the Australian Consumers’ Association) and other civil society organisations to petition Senators to disallow this determination. A letter requesting disallowance has been sent to Labor, Greens and Independent Senators by FSM. The commendable aim of this determination was to stop sponsors of complementary medicines from making creative free-text indications that were then used to make misleading and deceptive advertising claims that lacked an evidence base. However, the TGA allowed industry to formulate the list of permissible indications with the result that 86% of 1019 indications can now be supported by “traditional” evidence from belief-based alternative medical systems such as Homoeopathy, Traditional Chinese Medicine, Ayurveda Medicine and Western herbalism. An inevitable perverse outcome of this determination will be that sponsors of complementary medicines will change the indications of many of their products from “scientific” to “traditional” to the detriment of public health, as illustrated in a classic ABC Checkout program. Why else would industry have produced such a list? Australia is a multicultural and pluralistic society and it is appropriate we allow access to alternative medical traditions and products. There is also understandable national pride in Traditional Chinese Medicine (TCM), Ayurveda and other indigenous medicines. In addition, valuable knowledge can be found in such traditions. For example, the 2015 Nobel Prize award for medicine was awarded to a Chinese researcher for extracting an anti-malarial drug from the herb (Artemesia annua) mentioned as a treatment for fever in a 4th Century CE text of Traditional Chinese Medicine. Traditional medicines are by default prescientific, and thus is not surprising that the theories on which such traditions are based have not been validated by scientific inquiry. These include the centuries old TCM concept of meridians through which the life-energy known as ‘qi’ flows, the Ayurveda concept of life-forces (dosha) and body types (vata, pitta and kapha) and the more recent homeopathic concept that ‘likes cure like’. 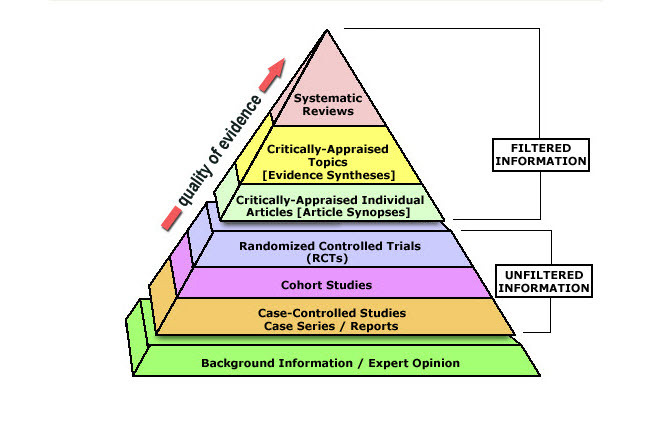 While the TGA appears to give equal validly to “traditional” and “scientific” evidence, this is not in keeping with modern scientific understanding as documented in the NHMRC’s levels of evidence which puts “traditional” knowledge on the bottom rung (below). It is also not in keeping with the objects of the Therapeutic Goods Act 1989 which include providing for the establishment and maintenance of a national system of controls relating to the quality, safety, efficacy and timely availability of therapeutic goods (my emphasis). Traditional use provides no evidence of efficacy nor does it guarantee quality or safety. We believe it is important to ensure that consumers understand the difference between “traditional” and “scientific” evidence. We also need to restrain the increasing mass marketing of traditional medicines from taking advantage of consumer ignorance and we need to protect consumers from misleading and deceptive claims about such products. “This product is based on traditional beliefs and not modern scientific evidence”. “The evidence from the United States, where the US Food and Drug Administration has mandated such disclaimers, is that these disclaimers are ineffective in assisting consumers to make more informed choices when self-selecting medicines”. Our own review of the literature shows that the evidence about disclaimers and advisories is much more nuanced that what Senator McKenzie stated. In our opinion, the TGA has misled Parliament by failing to provide a balanced account of the evidence about advisories and disclaimers. The 1994 U.S. Dietary Supplement Health and Education Act (DSHEA) disclaimer is very different to what has been proposed in Australia. It reads,“This statement has not been evaluated by the Food and Drug Administration. This product is not intended to diagnose, treat, cure, or prevent any disease”. Dodge et al., 2011 showed that addressing deficits in individuals’ knowledge about the DSHEA influenced beliefs about dietary supplements. Specifically, educating individuals about the DSHEA made them more skeptical of the safety and effectiveness of dietary supplements. The U.S. Federal Trade Commission (FTC) acts against dietary supplement companies for product promotions that violate the Federal Trade Commission Act. In November 2017 they produced an advisory similar to what was requested in Australia for one category of traditional medicines, homeopathic products. More recently, the U.S. FDA have also proposed a new, risk-based enforcement approach to drug products labelled as homeopathic. 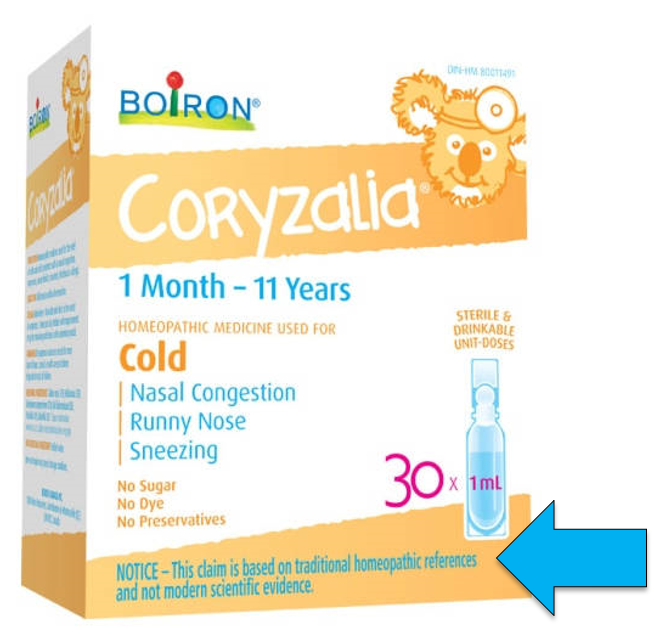 Health Canada has now included an advisory on homeopathic products targeting children’s complaints, like what Australian consumer and health professional organisations recommended (Figure 1, below). If Health Canada can do it why not the TGA? “Seek advice from a registered Chinese medicine practitioner or Ayurvedic medicine practitioner to ensure this medicine is right for you”. The TGA have alleged that other belief-based traditions, such as Homeopathy, are better understood but that is not our experience in discussing TGA regulation with consumers. Some politicians have said that they support the Permissible Indication determination because it is an improvement on what has gone before. We disagree. As pointed out above, we believe it will create a flood of products with “traditional” indications and claims that will confuse and mislead consumers. More importantly, these products have the potential to cause consumers to forgo more evidence-based treatment to the detriment of their health. We ask you to support the campaign to disallow the Therapeutic Goods (Permissible Indications) Determination No 1 of 2018 so that educational advisories can be made mandatory. Please write to your Senator. The Determination will expire from the Senate Disallowable Instruments List on 25 June 2018. This entry was posted in Complementary medicine, Education, Medicine policy and tagged Department of Health, Friends of Science in Medicine, Health Canada, Regulatory Reform, Senate, Senator McKENZIE, TGA, Therapeutic Goods (Permissible Indications) Determination No.1 of 2018, Transparency. Bookmark the permalink.